A look back at what was happening around here in June 2006. 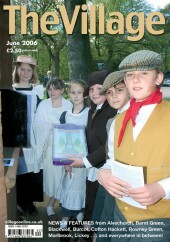 Our June 2006 cover showed Lickey Hills Primary School pupils going back to 1906 in celebration of the newly-restored Lickey drinking fountain and horse trough’s 100th birthday. Plans for a Bordesley bypass, designed to relieve traffic problems in the area, now looked doomed as the Government vetoed a major development at Redditch’s Abbey stadium. Elsewhere, Barnt Green Scouts and Guides had raised more than £26,000 towards replacing their HQ, destroyed by fire two years before. Fundraising activities included a cricket tournament and a May Fayre. 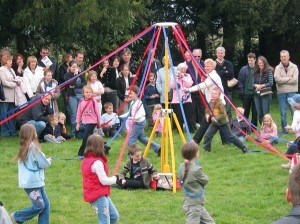 * Children at Tardebigge First School celebrated May Day in traditional fashion, at a family fun event organised by the school, the adjacent Community Hall and St Bartholomew’s Church. 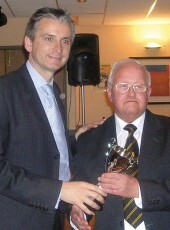 * Alvechurch FC’s most famous son, Alan “Smudger” Smith – who also played for Leicester City, Arsenal and England – returned as guest of honour for the club’s 75th anniversary dinner at Hopwood’s Corus Hotel, and presented stalwart supporter Roy Yardley with life membership.